Widow of servant Hemraj, Khumkala, on Saturday said she believes in the Supreme Court and justice will be given to her in sensational 2008 Aarushi-Hemraj murder case. NOIDA: Widow of servant Hemraj, Khumkala, on Saturday said she believes in the Supreme Court and justice will be given to her in sensational 2008 Aarushi-Hemraj murder case. Speaking to ANI, Khumkala said, “I believe the Supreme Court will do us justice and that is why I have come here. I am not surprised that the court let the Talwars walk free and cancelled their life sentences on the basis of lack of material evidences but this has disheartened me”. Earlier on Friday, in a fresh twist to the murder case, wife of Hemraj approached the apex court challenging the acquittal of Rajesh and Nupur Talwar by the Allahabad High Court. In October, the Talwar couple, who were accused in the murder of their 14-year-old daughter Arushi and their domestic help Hemraj, walked free from the Dasna jail after the Allahabad High Court acquitted them of charges of their daughter's murder, setting aside the CBI court's earlier order. 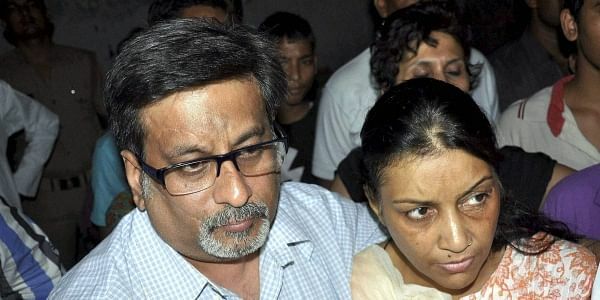 A high court bench, comprising of Justice BK Narayana and Justice AK Mishra, had reserved its verdict, in September, in the appeal filed by Aarushi's parents, who were sentenced to life in the jail. The Talwars had been lodged in the Dasna jail since November 2013 in connection with the twin murders. On May 16, 2008, Aarushi was found murdered inside her bedroom in the flat in Jal Vayu Vihar and her throat slit with surgical precision. It was initially suspected that house help Hemraj had killed Aarushi. However, the case took a shocking turn when Hemraj's body was recovered two days later from the terrace of the same flat. The police then began to suspect the Talwars and said Rajesh had murdered the two after finding them in an "objectionable" position. The accusations enraged the Talwars and friends, who accused the police of framing the dentist couple in order to cover up a botched investigation. In 2009, the CBI handed over the investigation to a new team, which recommended closing the case due to critical gaps in the investigation. Rajesh was first arrested by the Uttar Pradesh Police on May 23, 2008 after which he was lodged at the Dasna Jail and let off on July 11, 2008. Later in 2012, his wife Nupur surrendered before a Ghaziabad court before trial and was also sent to the Dasna Jail.